Signs from God and Amazing Coincidences are recorded in this book called 2!, These signs lead to the manifestation of a Cross formed perfectly over the United States in which there is something that the Lord is going to do at 9 points along the shape of a cross over the United States, and there are signs which lead to the 2nd coming of Jesus Christ in Jubilee. Email Me Download a FREE copy to read today! Updated on 9/10/17 - The Revelation 12 sign that is in the heavens on Sept. 23rd 2017 has alot of people talking rapture. I admit something is definitely up! There are also some more signs that are interesting in 2029. Jupiter again is in womb, planets converging, it may mean something. Keep a watchful eye until the Lord returns. Updated on 8/5/17 - The center of the cross, Arrow Rock, Missouri falls dead on with the coming eclipse over the United States of America on Aug 21st, 2017. The eclipse of 2024 on April 8th, also comes into to the path of totality with another point on the cross, Hot Springs, Arkansas. Updated on 7/31/16, possible warnings for St. Paul, MN. Updated on 2/26/2011 Read about the Warning Signs for Dallas, TX from God!!! 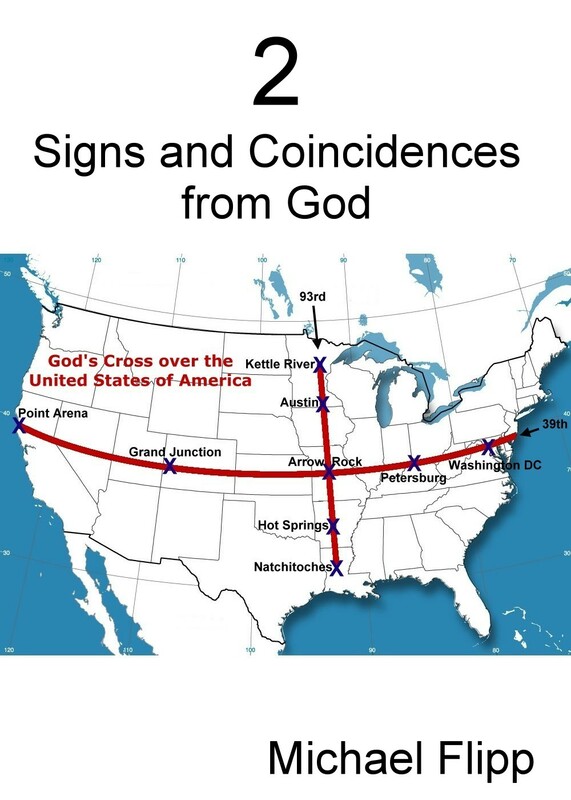 UPDATED ON 7/25/10 - THERE ARE NOW A CONFIRMED 9 POINTS ON THE CROSS! please download and read the last page to get the latest amazing signs and coincidences that show where the last 2 points are and how they came about. WOW! The book 2! "Signs from God" is about miracles and amazing coincidences. Do you believe in miracles? Signs and Wonders? Ever had a coincidence happen to you? This is a book about 1 man's story and how God gave him a sign, and then another and then they just kept coming and coming so much so that he had to record them in a journal which is now this online book. The signs started on the Sunday after Easter 2003. The signs of "2" then started the 2nd Sunday after Easter 2003 and have continued to be given to him ever since then. When more signs happen, they are added to this book, so many people return frequently and download it again to see what new things and what new signs have been added. I am making nothing for doing this. I have nothing to gain, I am not seeking your donations, nor do I want to sell you anything. These amazing coincidences happened, there are many witnesses, and this is a true story. Jesus is coming very soon. I bid you peace and Love for one another. To Read or Print out this book for FREE and read the latest updates, please download the Word 2.doc file. Currently it is over 220 printed pages long (6 x 9), you will have to format it in Word to what ever size you want for your own printed copy or you can just read the file and save the ink and paper expense. If you cannot download or open the word.doc file, then email me for a free email copy, but be prepared, it is one very long email. The paper printed version of the book was last updated on 2/22/19. ***NEW*** The Poem above - Little Johnnie - has now been written into a children's Book! 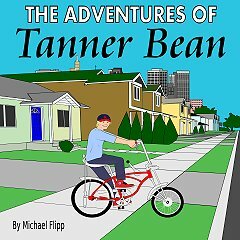 Ages 9-13 The name of the Book is called, "The Adventures of Tanner Bean".